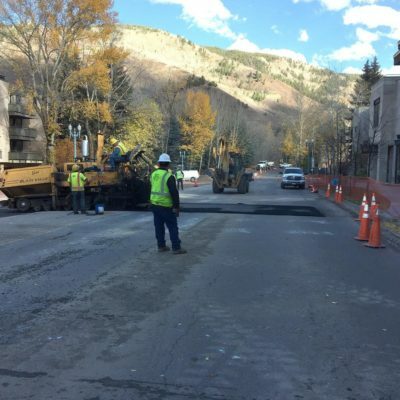 In the summer and fall of 2016, RFE was contracted with the City of Aspen to conduct construction observations and inspections for utility infrastructure within the CDOT right-of-way between Galena Street and Spring Street on Main Street in downtown Aspen. 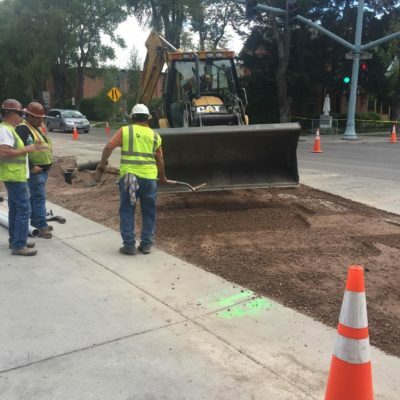 RFE also served as the inspector for the reconstruction of the right-of-way. 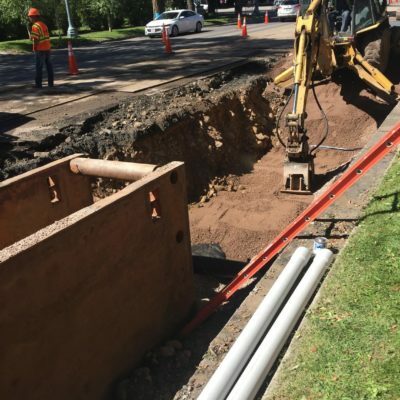 In this capacity RFE logged compaction reports for all trenches and backfill, ensured backfilling conformed to material and lift specifications and observed paving operations. Daily field reports and weekly summaries with photos were provided to the city. 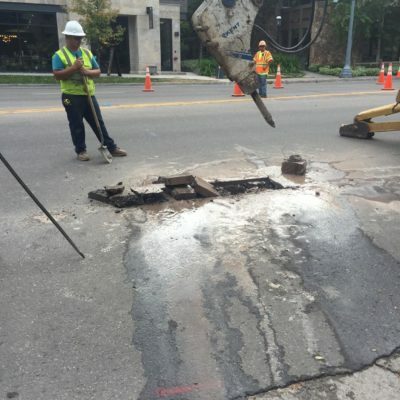 Approximately 790 feet of water line was replaced and upsized to a 12-inch line. Numerous customer service lines had to be reconnected to the new line. 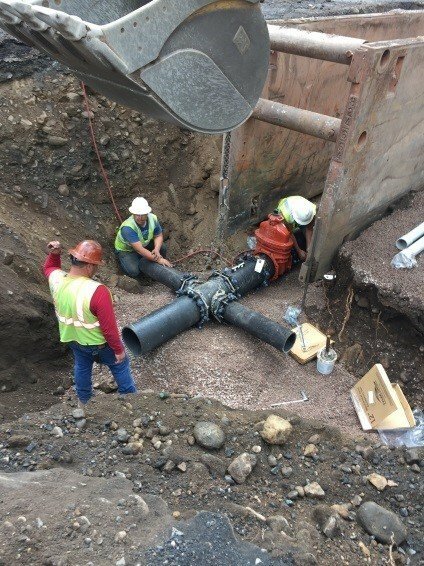 Various new fittings, including an 8-inch x 12-inch cross connecting to the Hunter Street 8-inch line, were installed. 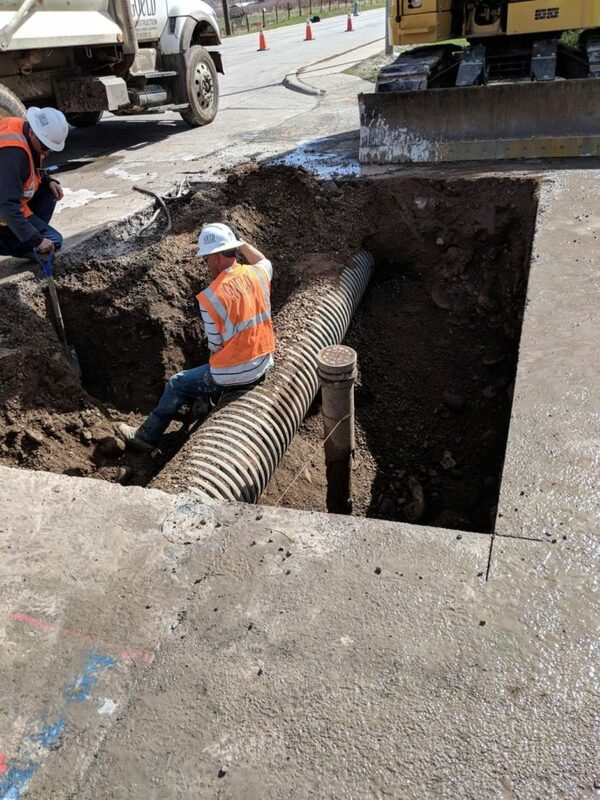 New fiber optic lines and vaults have also been installed. Century Link and the City of Aspen primary electric lines were also part of the improvements.